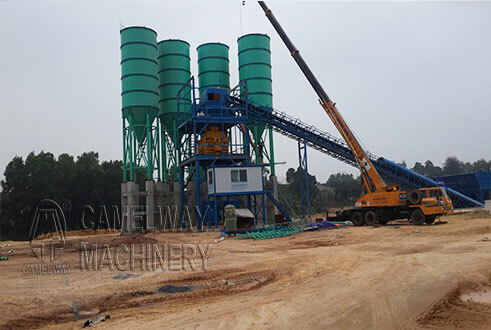 An asphalt plant is a plant used for the manufacture of asphalt , macadam and other forms of coated roadstone, sometimes collectively known as blacktop or asphalt concrete . There are three main classes of plant: batch heater, semi-continuous (or “asphalt plant”), and continuous (or “drum mix”). The batch heater has the lowest throughput, the continuous plant the highest at up to around 500 Tonnes per hour. Supply of roadstone for large contracts is generally by tender with considerable pressure on price. A faulty batch of roadstone must be planed up and relaid, often with additional lane rental charges, at a cost which may be orders of magnitude higher than the original price, so sophisticated control systems are a necessity.